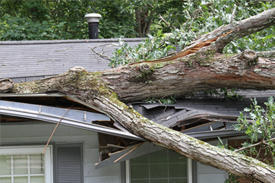 When you have had a catastrophic property loss, dealing with your insurance company to get the claim settled can be a hassle. Airway Construction has been in the damage restoration business for nearly 40 years and has a lot of experience in handling of claims. While we are not claims adjusters in any way, we definitely understand the process a homeowner goes through when making a claim. Rest easy with Airway Construction, we’ll help make the restoration process as painless as possible. To speak with one of our representatives, please contact us online or call (937) 429-4300.